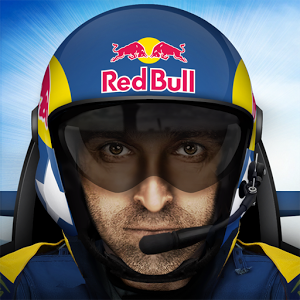 What activities would you entrust to people jacked up on several cans of Red Bull? 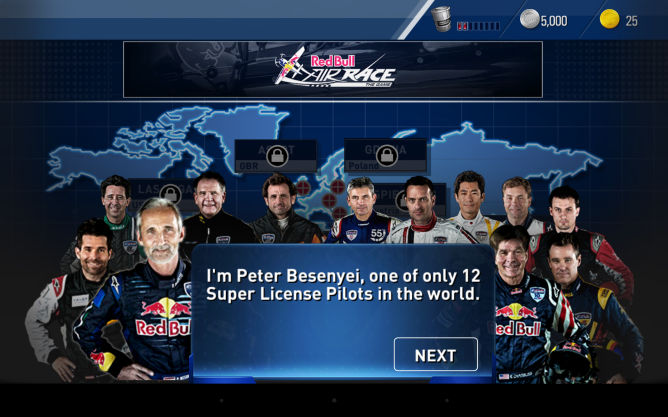 Flying an airplane probably doesn't rank high on the list, but for over a decade now, Red Bull has sponsored precisely that (okay, it probably doesn't actually encourage pilots to drink energy drinks beforehand). 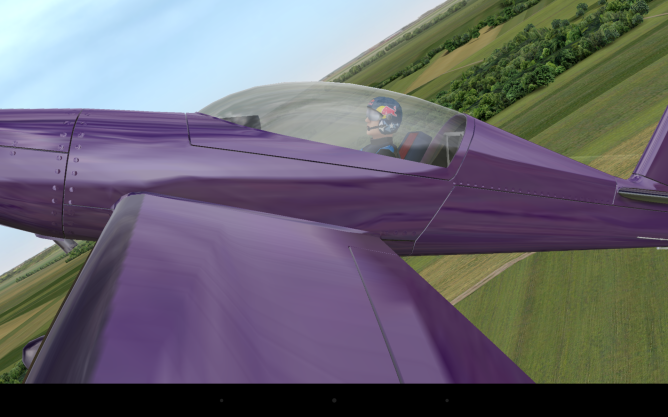 Established in the early 2000s, the Red Bull Air Race has taken place most years since (it took a hiatus from 2011 - 2013), pitting around ten or so planes against each other in a high-speed aerial obstacle course. 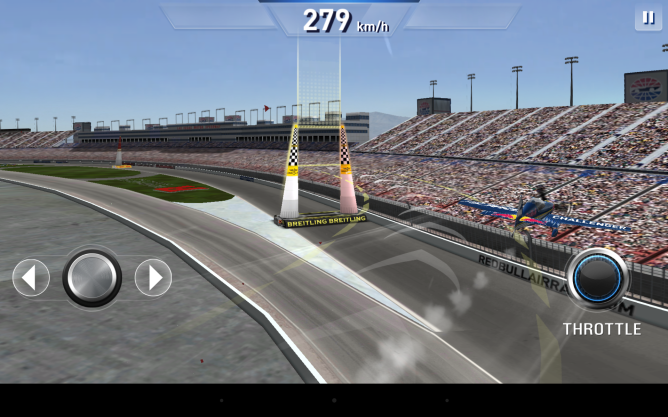 Now average people are able to experience the thrill firsthand on their Android devices. 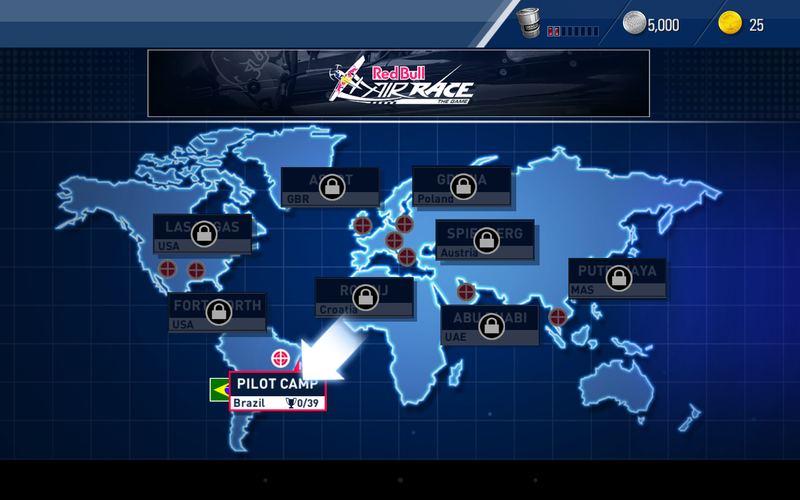 Upon hearing that this is a game about flying planes, you may understandably fear that tilt controls will be all over Red Bull Air Race. As it turns out, they're an option, but they're not enabled by default. Instead, players use a virtual thumbstick on the left to handle direction and a throttle button on the right to manage speed. The control scheme is simple, and it works. 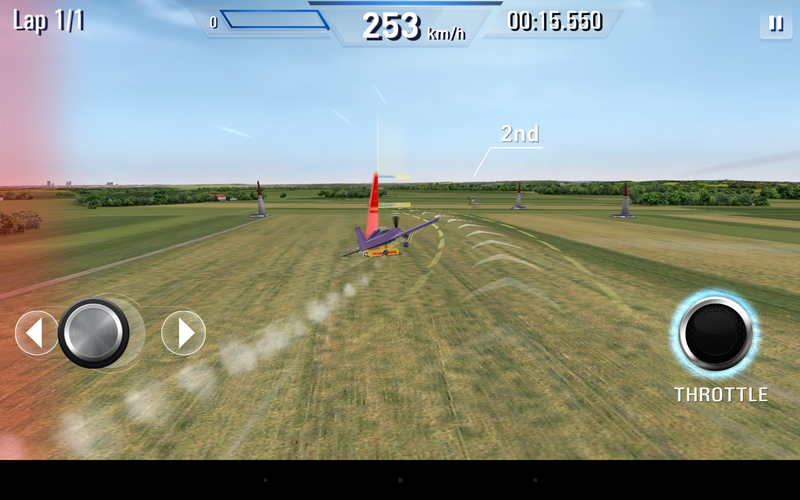 Red Bull Air Race The Game consists of flying through various obstacle courses around the world, trying to pass between and around posts faster than the competition can. There are over 200 events contained within the experience. 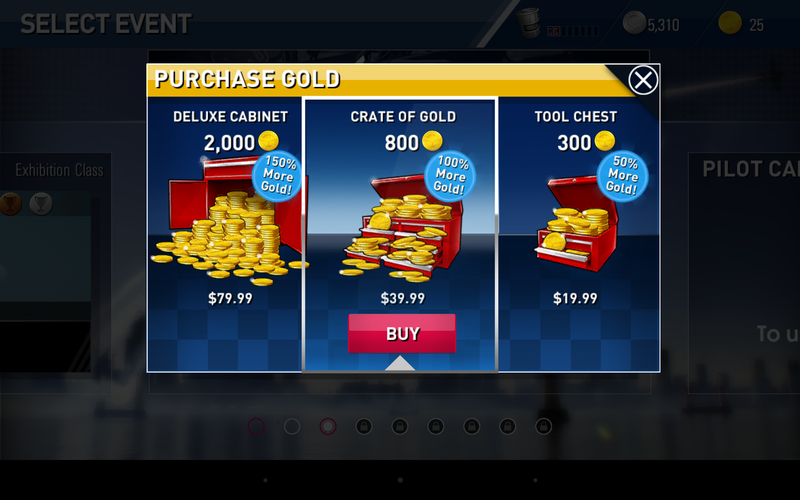 The title is free to download, but be on the lookout for virtual currency. Fake gold ranges from $2.99 to $79.99, so you can spend quite a bit of real money if you're not careful.